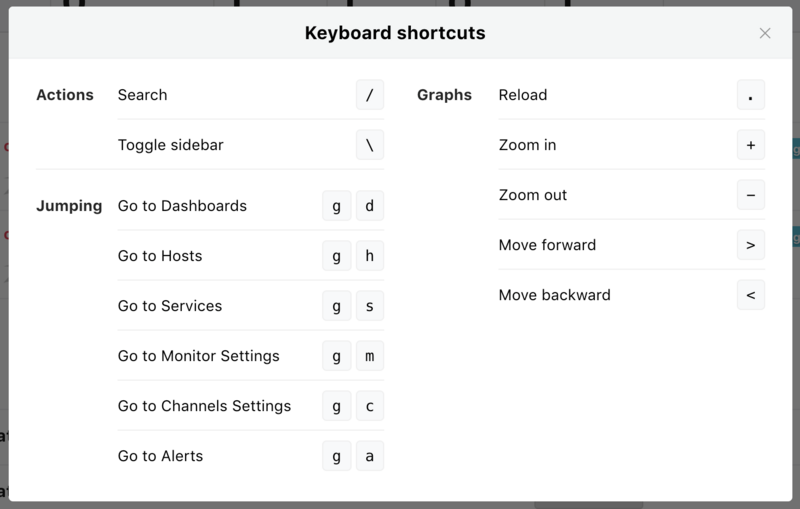 Introducing the Keyboard shortcut feature etc. 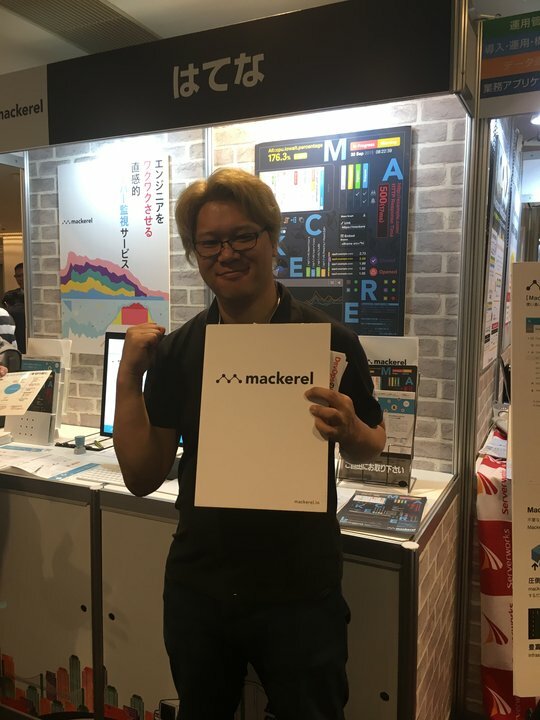 On Tuesday, October 31st, Mackerel ran a booth at the AWS CloudRoadShow in Fukuoka. We received so many visitors! Thank you to everyone who stopped by! Now for this week’s update information. Much like the idea behind the mkr CLI tool, we believe that improving work efficiency for engineers who primarily use Mackerel is a valuable component of our service. And we believe that most users would prefer to be able to use the keyboard to carry out as many operations as possible when working from the Mackerel web terminal. For this reason, a keyboard shortcut feature was implemented with this week’s release! The shortcut cheat sheet can be displayed with ?. If you have a chance, give it a try. And if you are one of the many who requested this feature, please give us feedback! With this week’s Mackerel API update, a limit has been set for the number of check monitor results that can be posted per request. As a result, if you are using a version of mackerel-agent before v0.46.0 and you have more than 101 items configured for check monitoring, you will no longer be able to post check results. This will not affect versions v.0.47.0 and later. Please update your agent if this applies to you. AWS Integration・Release of mackerel-agent etc.